What Russians and Americans really needed ‘on the edge of 1984’ was for a Scottish guy to weigh in on their political situation. 1984 was more of an idea than a year, and Al Stewart wasn’t the only one with wells of deep thoughts about it. Everyone was a little on edge. If nothing else it was a good year for sweeping statements and ambitious art and a lot of serious-minded talk about who and where we all are as a global society. We really did need more songs about the existential malaise of the Cold War. Al Stewart’s little song doesn’t really say that much about it, though it’s characteristically earnest. The situation may have been too big and volatile for a mild-mannered folk song to do justice to. But lots and lots of little gold stars for trying and caring. 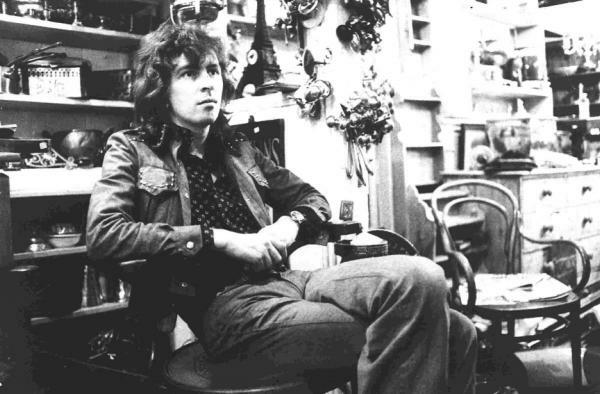 Al Stewart cared and thought about things that politicians and economists are generally paid to care and think about, and he always provided a thinking-person’s alternative to the relentless escapism of nearly all pop music. To paraphrase another poet’s words from a few years later: don’t be playing Wham! records while the nuclear reactors are melting.